Minimum and Maximum values (Min and Max respectively). When an specific operator is selected, a dialog box pops in order to allow the user to set the time range (or any other magnitude used as abscissa) over which the operator shall be applied. 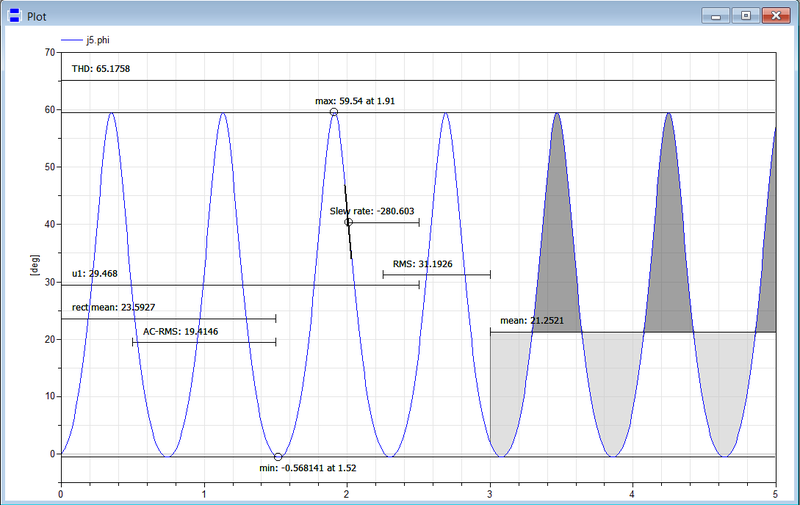 The operators First Harmonic and THD require, besides, entering the period of the signal. 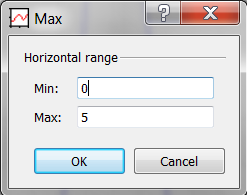 If the minimum was larger than the maximum or if the horizontal range was out of bounds, an error message would be displayed. 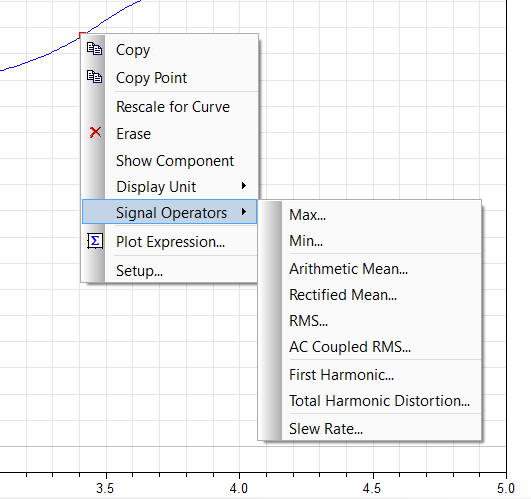 If everything is correct, the results will be seen in the plot depending on the operator executed, see figure 4. As it can be seen in the above figure, the default colour for horizontal range line and associated text is black. If there were more than one signal in the plot window, then the associated text would be shown in the same colour as the signal they correspond to. 1. 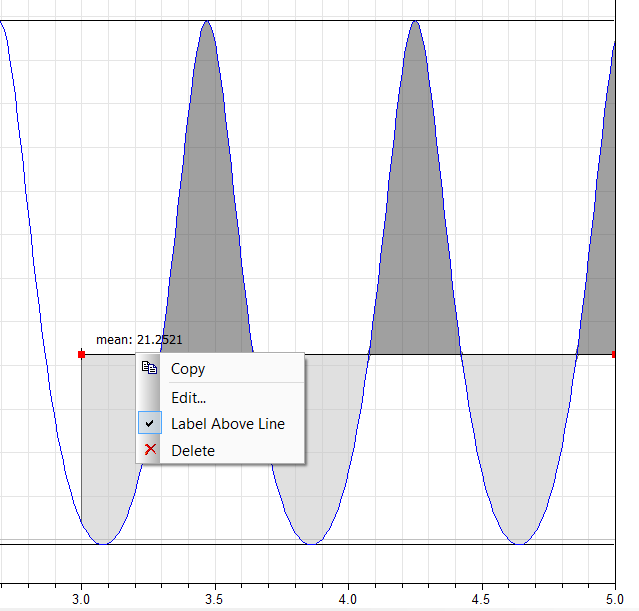 Use a drag-and-drop operation to move the horizontal line that represents the time range or its start and end points. Deleting a result can also be made by clicking on a time range and pressing the key “Delete”. Copy => copies the value to the clipboard. 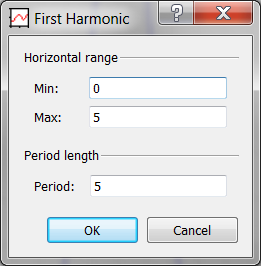 Edit => opens the dialog box to modify the horizontal range. Label Above Line: if not ticked, name of the operator and result are shown below the horizontal line. Delete: removes the whole operator result.